How do servicemembers get SCRA interest benefits? They used to have to formally request them, but that isn’t always the case anymore. The government fined Sallie Mae and its former subsidiary Navient Solutions several years back for charging active-duty servicemembers unlawfully high interest rates. Rates above 6 percent for active-duty military violate the Servicemembers Civil Relief Act. This case seems to have set a new legal precedent. Federal prosecutors said that Sallie Mae denied servicemembers’ benefits requests. In some cases, servicemembers were overcharged more than $500 in interest, according to a Washington Post article. The violation allegedly dates back to 2005, and left some 60,000 active-duty personnel dealing with the consequences. While neither Navient nor Sallie Mae admitted wrongdoing, both apologized for the potential harm caused to servicemembers. Navient paid nearly all of the fines while Sallie Mae had to pay a $3.3 million penalty. The two parted ways before the settlement, with Sallie Mae taking its liabilities and 95 percent of its assets, which includes billions in student loans. A provision of the SCRA relates to how interest rates can be applied to servicemembers’ loan obligations. 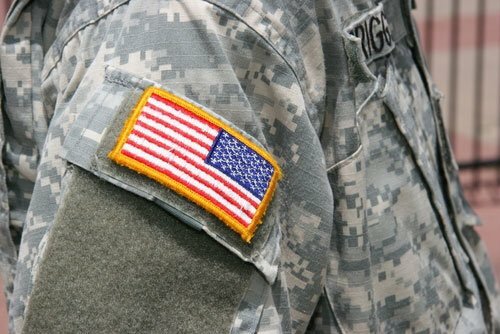 This provision puts a limit on the interest lenders can collect from those on active duty. Since Congress passed the most recent version of the SCRA in 2003, servicemembers have requested interest rate changes mostly the same way. The rules required the servicemember to send a written request asking for interest rate benefits. They also had to provide a copy of the orders for military status verification purposes. However, Sallie Mae and Navient’s settlement have changed that. Now, instead of a written request to lower interest rates, a mere notice of active military duty status should be enough to secure SCRA interest rates, according to The Banking Law Journal. Also, the Department of Justice indicated that more than one form of proof of status change is acceptable. If you’re a creditor or servicer with loans to servicemembers, make sure you are pushing hard to verify active duty status of all potential military members.